For years, my husband and I have had a bit of a war when it comes to bedtime. He easily gets hot, and I love the weight of multiple blankets on me. This has led to some blanket fights in the middle of the night, as well as him just feeling miserable by the time morning comes around. As we were looking for different options for our joint comfort, including looking at a new mattress, we were approached by Comfort Revolution, who asked us if we would like to review one of their Hydraluxe Cooling Gel Pillow. Having read a bit about these pillows, I was excited at this opportunity and couldn’t wait for it to arrive! From everything I was reading, I thought this could very well be the answer to my husband’s restless nights! Tired of being hot all night or feeling uncomfortable since you can’t keep your body temperature regulated? If so, we think you will love the Comfort Revolution Hydraluxe Cooling Gel Pillow! 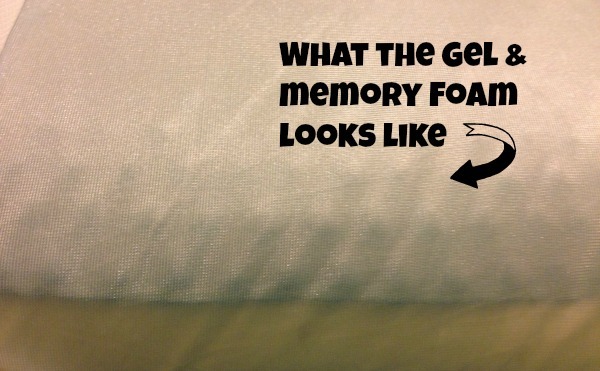 This pillow is made by fusing memory foam with Hydraluxe gel technology. With the pillow unique design, your head and neck are supported all night, allowing you to relax your muscles while enjoying the coolness from the gel layer. With this pillow, you will be waking up everyday refreshed and ready to take on the world! When I first tried this pillow, I truly had no clue what to think. I am one of those people who really like to be buried in layers of blankets, while my husband is miserable throughout the night because he is so hot. 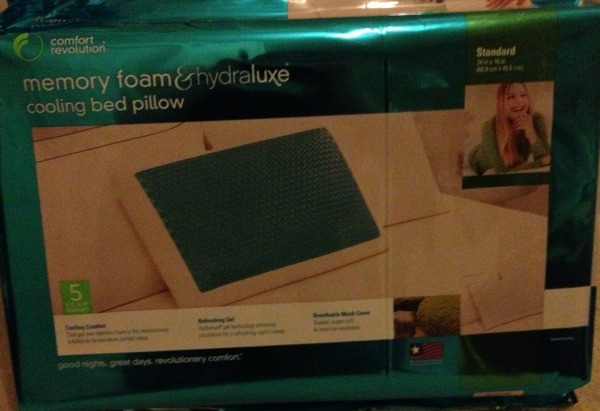 I was amazed at just how comfortable this pillow felt and on hot nights, thought it was truly amazing. My husband thought this pillow was the best thing ever. He slept peacefully throughout the night on this pillow and didn’t seem to be moving around uncomfortably – and I was happy that the blankets mostly stayed on the bed! Even though he did complain about it being a bit soft, he is very quick to claim this pillow on our bed and it seems to be his favorite. 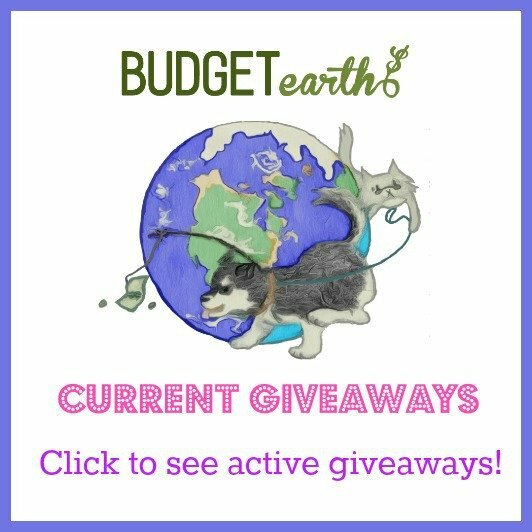 So far, we both love the Comfort Revolution pillow, and are happy to give it an A rating! Would you love to try this awesome pillow? You can purchase the Comfort Revolution Hydraluxe Cooling Gel Pillow on the Comfort Revolution website for $79.99. Since this pillow comes in several fun colors and styles, you can find the perfect pillow to keep you cool and comfortable all night long! Once you have tried it, you will see why everyone is talking about this awesome pillow! I have never used a cooling pillow efore and this one looks like it would work well! I would love to get one of these! I tried a pillow liked this once before and felt like it was a waste of money.It didn't stay cool. I hope this one works better. Sounds like both my husband and I could use something like this. He's always hot, and I'm always cold, although I like my pillow to be cooler. Perhaps not during the winter, but would be ideal during summer. As someone who suffers from night sweats, this would be so perfect for me! I'll have to track one down. This looks great for florida summers! This would come in handy in the summer when I am trying to save on electricity! I think that this product would really help me get to sleep quicker, in the summer nights when it's so darn hot I am tossing and turning. The memory foam and the cooling gel would feel very soothing. Sounds like a great pillow for me. I'm always hot, even during New England winters. Thanks! I think I would like to try one of these. I am always hot. This may be the answer to my getting a good night sleep. As a woman of a certain age I get those sudden 'summers' almost every night. Maybe this will help me keep cool and comfortable. Daughter just requested on of these pillows, her friend has one and my daughter looks forward to using it when she spends the night at her house. Anything to help her sleep well, she is my night owl!!!! Wow, this sounds like it might be the thing to help with my horrible menopause night sweats. Do they make mattress pads too? What a great idea! I have to turn over my pillow many times a night. this would be great for my husband. he gets so sweaty during the night especially because of his pillow. we need new pillows anyway! a really comfortable pillow is something I have a hard time finding. they always die on me so this sounding like one of the pillows that I will genuinely like. I need to get one of these so bad! I live in Florida so it would be useful. 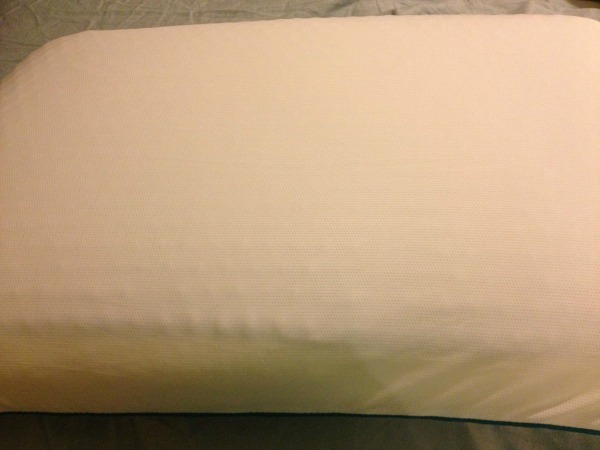 (Comfort Revolution Hydraluxe Cooling Gel Pillow Review) I am going to buy one of these pillows, hopefuly will help with the uwful night sweats that I get. I been wonder if i should get this or not. You help a lot. Thank you!! This would be awesome for my hot flashes and night sweats. I am constantly flipping my pillow at night. This sounds like an answer to a prayer!! Definitely need one of these. I hate when my pillow gets hot. I love a pillow that lets me breathe all night long. I hate those old stuffy hot pillows. Sounds like both my wife and I could use something like this. She’s always hot, and I’m always cold, although I like my pillow to be cooler. Perhaps not during the winter, but would be ideal during summer.